Allen Flotation Shotgun Slipcase, 52"
Fits shotguns up to 52"l.
For your next waterfowl hunt, trust this Allen Flotation Shotgun Slipcase to keep your duck boat accident free. 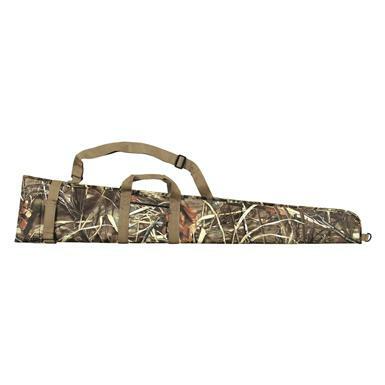 Shotgun Slipcase is made from rugged Endura and features an exterior accessory pocket for choke tubes, calls, extra shells, and more. Fits shotguns up to 52"l. overall. Dimensions: 9"h. x 1"w. x 54.5"l.